Dr. Hough is known for her independent thinking and work challenging “received wisdom” about what is and is not useful for predicting important outcomes in organizational settings. She is one of the world’s leaders in developing innovative candidate assessment systems. Her focus is on creating tools to reliably evaluate candidate characteristics that predict on-the-job outcomes, such as job performance, advancement, innovation, learning efficiency, engagement, and retention. She designs new, non-traditional assessment strategies that show a solid payoff and mitigate adverse impact against protected classes. She is expert in designing systems to measure people, work, and performance. 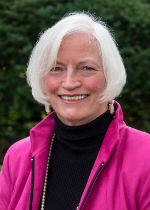 She is president and founder of the Dunnette Group, Ltd., and a past president of the Society for Industrial and Organizational Psychology (SIOP; a 8500+ member organization of industrial and organizational psychologists from around the world) and of FABBS (Federation of Associations in Behavioral and Brain Sciences. She was a co-founder of Personnel Decisions Research Institute (PDRI), Minnesota Professionals for Psychology Applied to Work (MPPAW), and Invent Minnesota. She is a past board member of the American Composers Forum, the U. S. Delegation for Friendship Among Women Around the World, Personnel Decisions, Inc., A Toast to Bread, and is currently a board member of the Society for Industrial and Organizational Psychology (SIOP) Foundation and Regions Hospital Foundation. Dr. Hough received the Society for Industrial and Organizational Psychology (SIOP) Distinguished Professional Contributions award and is a fellow of four professional organizations: Association for Psychological Science (APS), American Psychological Association (APA), APA’s Division 14 (SIOP), and APA’s Division 5 (Division of Evaluation, Measurement, and Statistics). She received a Ph.D. from the University of Minnesota in 1981. Dr. Hough has published dozens of articles in refereed journals, book chapters, and reviews. Noteworthy has been her role as co-editor of the four-volume Handbook of Industrial & Organizational Psychology, lead author of the personnel selection chapter for the Annual Review of Psychology, the biodata chapter in the Handbook of Workplace Assessment: Selecting and Developing Talent, and the personality chapters in the International Handbook of Work & Organizational Psychology, the Handbook of Personnel Selection, both editions of the I-O Psychology volume of the Comprehensive Handbook of Psychology, and the APA Handbook on Testing and Assessment. She is currently writing and editing a handbook on the importance of personality for organizational and work performance. Three of her articles were reprinted in Employee Selection and Performance Management, a book consisting of articles that I-O psychologists identified as the seminal publications in the last 100 years. Her work has helped shape the science and practice of I-O Psychology. * The FABBS Foundation would like to thank Drs. Fiske and Oswald for nominating Dr. Hough for this honor and for leading the effort to spread the word about her nomination. Would you like to honor Dr. Hough? It’s not too late to have your name added to the list of donors! You can make your donation to Dr. Hough’s In Honor Of… campaign at anytime.